Formed in 2008 by Dr. Lana Rucks, the firm has evolved to focus as essentially an applied social science research firm. We are an Ohio certified MBE/EDGE business located in The Entrepreneurs Center in downtown Dayton. The Rucks Group is different from many other evaluation entities because we are able to marry together high levels of technical expertise with an accessible personable approach. Because of our uniqueness, over the past ten plus years we have grown from working primarily within Dayton (Ohio) to touching projects through the east, mid-west, and southern quadrants of the US. While we are a research and consulting firm that gathers, analyzes, and interprets data to enable our clients to measure the impact of their work, our mission is to maximize the return of resources invested in initiatives, and our vision is improved decision-making through data and thoughtful analysis. Here are a few examples of industries that we excel in. This is merely a small example of the variety of project types that we have worked on over the past several years. Programs designed to transition displaced workers competitively back into the workforce. Innovative K16 initiatives to increase students’ success in college and beyond. Projects addressing the need to recruit students and workers into STEM and related fields. Meeting stakeholders evidence expectations of endeavors funded through foundations. 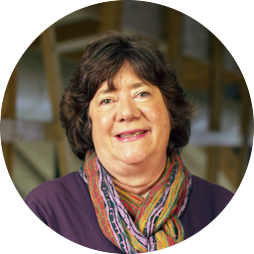 Carla Clasen, R.N, and M.P.H., has more than 30 years of program evaluation experience. Since joining The Rucks Group in 2013, Ms. Clasen has worked on a variety of projects funded by the National Institutes of Health, the National Science Foundation, and other contract work. Because of Ms. Clasen’s expertise in qualitative research she is often our go to person for facilitating focus groups and conducting interviews. Before joining The Rucks Group, Ms. Clasen was associate and co-director of the Center for Healthy Communities at Wright State University. In those roles, she conducted program evaluations and research for organizations in Dayton and across the state. She is a previous board member of the Ohio Program Evaluators’ Group (OPEG) and a member of the American Evaluation Association (AEA) Ms. Clasen holds a master of public health degree from the University of Texas Health Science Center and is a registered nurse. She completed a bachelor degree in nursing at the University of Mississippi. 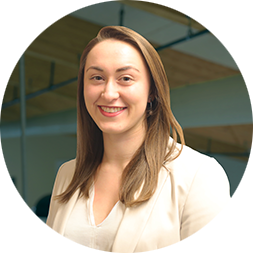 Madison Doty began with The Rucks Group in January 2017 as an intern and became a full-time employee upon graduation in May 2017. At The Rucks Group, Ms. Doty provides a wide range of support to the evaluator team including data-entry, focus group and interview transcription, scheduling, and other support-related tasks. 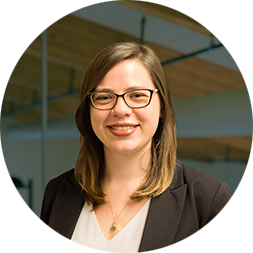 Ms. Doty completed her bachelor of science degree in psychology and is adding to her knowledge of data analytics through a certificate program. 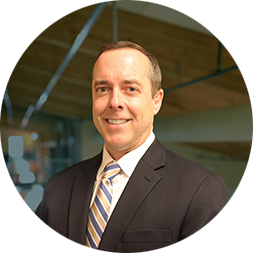 Michael FitzGerald, Ph.D., has extensive experience developing and applying quantitative and qualitative methods to assess and evaluate programs and initiatives. At The Rucks Group, Dr. FitzGerald is responsible for working on several of the firm’s large and complex evaluation initiatives that require innovative solutions and technical assistance to implement successfully. Prior to joining the firm, he spent 15 years at the Cincinnati Children’s Hospital Medical Center as a field service associate professor. He managed multiple concurrent evaluation projects for a range of purposes including individual performance evaluation, program evaluation, curriculum design, and organizational development. Dr. FitzGerald is a member of AEA and OPEG. Dr. FitzGerald completed his doctorate in social psychology at the University of Cincinnati and earned his bachelor’s degree in psychology at Miami University. Lana Rucks, Ph.D., brings to her work more than two decades of professional history including over 15 years of research and evaluation experience. She has extensive professional and educational knowledge of designing and implementing research and program evaluation efforts. She has led dozens of evaluation initiatives funded by various federal agencies such as the Centers for Disease Control and Prevention, Department of Labor, National Institutes of Health, and National Science Foundation. Dr. Rucks has taught at Sinclair Community College, the University of Dayton, and Wright State University’s School of Professional Psychology. Dr. Rucks is a member of AEA and OPEG. 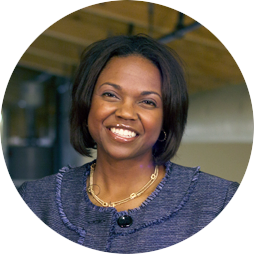 She earned a doctorate and master’s degree in social psychology with a concentration in quantitative methods from The Ohio State University. She also earned a master’s degree in experimental psychology from the University of Dayton. At Ohio Wesleyan University she earned a bachelor of arts degree in psychology with a concentration in chemistry. Julia Siwierka, Ph.D., recently joined The Rucks Group in 2019. Dr. Siwierka’s educational preparation focused on applied research methods within real-world broader systems and organizational settings. Her collaborative-focused approach to evaluation fits well with The Rucks Group’s approach to evaluation. Dr. Siwierka has served as the evaluator for the Boys & Girls Clubs of South Central Kansas, assessing program impact for multiple sites and managing data collection efforts. She also worked on Kansas’s System of Care evaluation funded by the U.S. Department of Health and Human Services’ Substance Abuse and Mental Health Services Administration. She is a member of the Society for Community Research in Action, AEA and OPEG. Dr. Siwierka earned a doctorate in community psychology at Wichita State University. Isn’t it time we get to know you? Send us your information and we will get right to you.